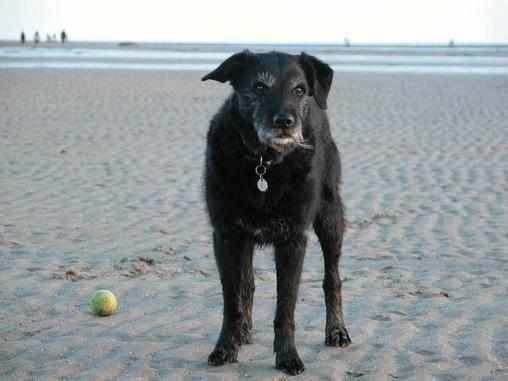 Our first Dog was a boy called Billy, he was a cross breed and a wonderful gentle old man who died in 2008 when he was nearly 19 years old after he had brought up Poppy, Pepper and Storm and taught them manners and how to be the wonderful girls they are. 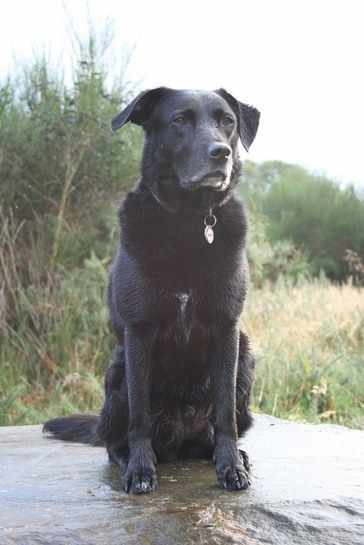 Poppy was our second dog, she was a labrador x collie and came to us in 1999 from our friends in mid-Wales when she was just 12 weeks old. She was taught all her manners by Billy and became the boss in our pack. She was a registered PAT dog and loved by all those who knew her, if they don't want Jack then they wanted to have Poppy to take home. She was a fantastic dog, just wish we had known about all the things you can do with dogs when we first had her as she would, of course, have excelled at everything. She was our lovely girl and was a joy to own and was very happy as long as someone was throwing her a ball. Sadly Poppy was diagnosed with an untreatable cancer in early 2011, we have been fortunate to have her with us for a few extra months, she had her 12th birthday but on 18th June she started to deteriorate and on the 19th we made the very hard decision to end her pain and discomfort. Sleep peacefully my beautiful girl, run free and keep Billy company for us.